Subtly powerful, this is a musky, sultry balm which has a waxy set-butter texture. You need a little elbow grease to warm and soften it, but - wow - when it is rubbed in, the skin feels so incredibly deeply nourished and protected. A panacea for modern times, we call this our miracle balm. It addresses a number of skin concerns, including dry skin, psoriasis, eczema, and scar tissue, while providing great comfort and support. Ideal for the colder months or for when you really need some extra moisture and protection. By making the senses feel soothed and revived, your spirit feels stronger. Warm a little balm in hands and rub into damp or dry skin. TOP TIP: Can be used as a massage base or underneath cotton socks for a deeply softening overnight foot treatment. This stuff just smells AMAZING! I love how it melts into my skin on application! I love it is completely natural skincare! Only need a small amount, my hands feel so soft and not greasy, another great brand thank you Mintd box. I was so happy to see another Ila product in this box. I’ve been so impressed with the product I’ve tried. This balm is fantastic. It’s gorgeous, subtle scent and very effective. A little goes a long way! 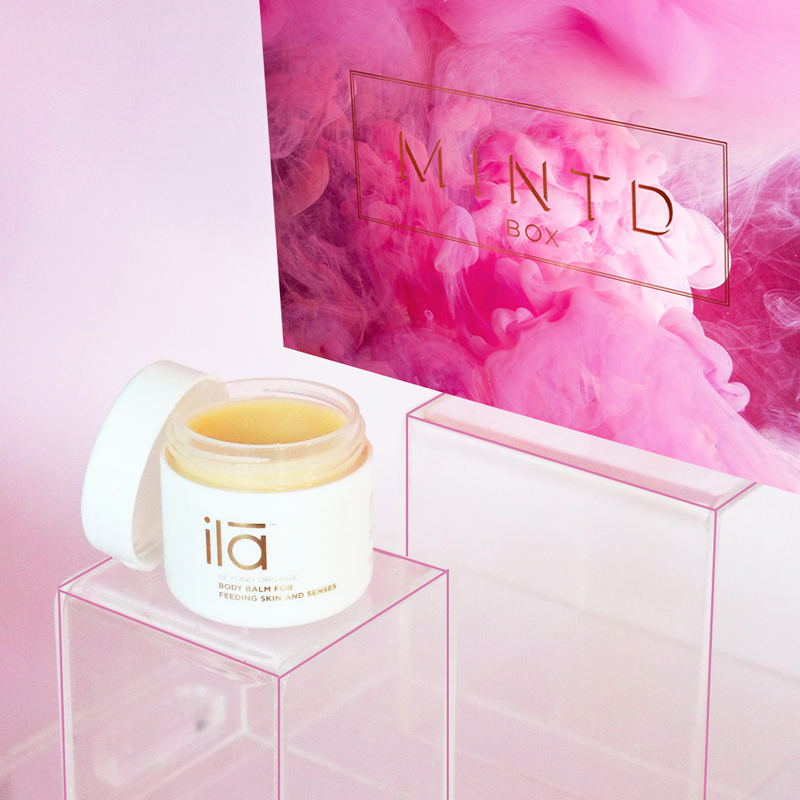 Ila has been a long time favourite brand of mine and I am absolutely thrilled when a product is included in a box. There really is not enough nice things to say about this product you simply must try it! It's so buttery soft and smells divine. It is deeply nourishing and so luxurious. A true skincare treat! It's like bringing a spa into your home! This balm is wonderful. Melted into the skin really nicely when worked a tiny bit in my hands. I kept getting wafts of the scent as I fell asleep and I slept so well!! Amazing product.